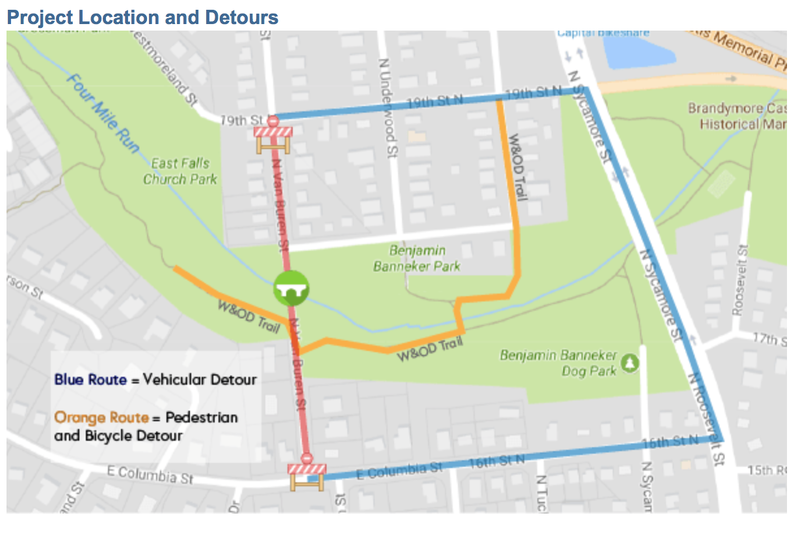 Here’s a heads up for cyclists that there will be street work near the W&OD Trail in Falls Church that will impede through traffic in East Falls Church and could affect your ride for several months. 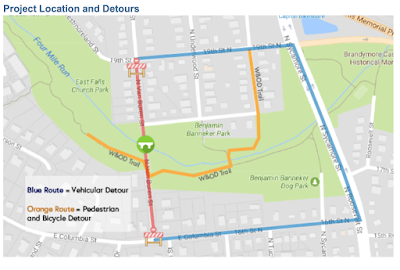 The City of Falls Church Department of Public Works will begin the replacement of Van Buren Bridge in the first week of October 2017. The current construction schedule has access across the bridge shut down starting October 16th, 2017. The bridge probably will be closed till the end of March 2018. Marked detours will be set up, routing vehicular, pedestrian, and bicycle traffic around the work zone. If you have concerns or questions at any time please call James Mak at 703-248-5105 or via email at jmak@fallschurchva,gov.